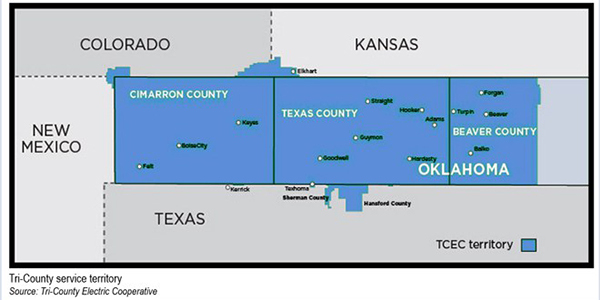 FERC last week allowed GridLiance High Plains to begin rate recovery Nov. 1 for its facilities in the Oklahoma Panhandle but set the company’s proposed annual transmission revenue requirement subject to refund and settlement judge procedures (ER18-2358). The Oct. 31 order rejected requests from SPP transmission owners to reject the filing or suspend rate recovery. SPP placed the facilities in Southwestern Public Service’s transmission pricing zone, Zone 11. The RTO said in its August filing that GridLiance’s ATRR and facilities were not large enough to warrant their own pricing zone, and that they were also interconnected solely with Zone 11 facilities. It said the addition of the GridLiance assets will increase Zone 11’s ATRR of $112 million by 6.9%. Network integration transmission service charges will rise 2.8% if the ATRR of transmission facilities whose costs are recovered under Schedule 11 (Wholesale Distribution Service) is included, the RTO said. More than a dozen SPP TOs and cooperatives and the Texas Public Utility Commission protested SPP’s filing, arguing that the RTO did not explain how upgrades GridLiance made to the Tri-County assets benefit existing Zone 11 customers and questioning how FERC could determine the additional costs were fair without analyzing the benefits. Xcel Energy complained that GridLiance constructed more than $50 million of facilities outside the SPP regional transmission planning process even though the Tri-County load has decreased by at least 23 MW since 2016. GridLiance said its planned and constructed upgrades address outages from ice and wind storms that resulted from a non-networked system. Brett Hooton, president of GridLiance High Plains, said he was pleased FERC denied requests to reject the filing or suspend rate recovery. “We look forward to demonstrating why wholesale loads are entitled to enjoy comparable reliability as the load served by the dominate transmission owners within SPP and how our reliability improvement upgrades meet that goal,” he told RTO Insider. The commission also accepted revisions to SPP’s bylaws that clarify the concept of a financial interest. With the Nov. 1 order, SPP employees, directors and their spouses, minor children, and any person for whom they have power of attorney or guardianship rights will be allowed to invest in companies that have a de minimis relationship with the RTO and the electric sector (ER18-2376). FERC agreed that SPP’s rules, developed before the expansion of its membership and market participation, created barriers in recruiting and retaining directors and employees. The commission said the bylaw revisions should continue “to safeguard SPP’s independence” by prohibiting directors and employees from investing in market participants active in the Integrated Marketplace. FERC granted Northeast Transmission Development some incentives for its Artificial Island project.